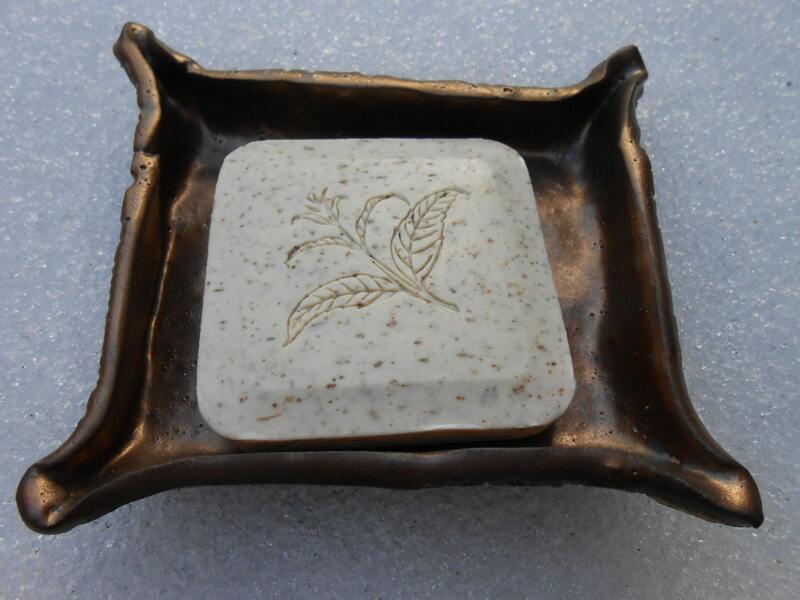 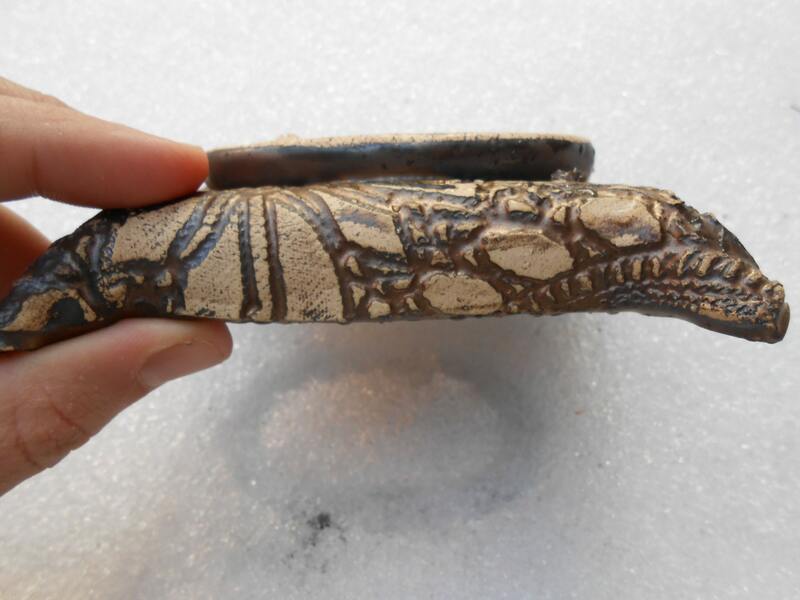 This hand built soap dish has a lace imprint on the outside, the gold glaze seeped into the texture. 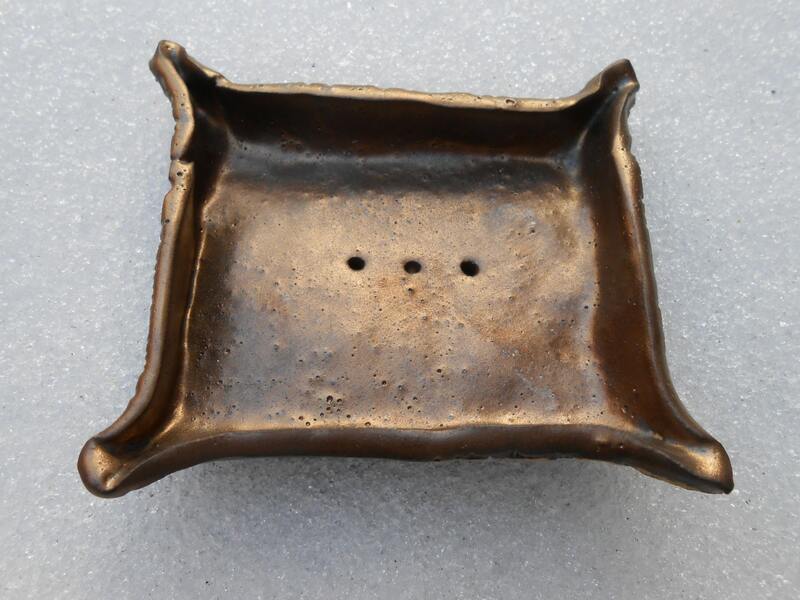 Holes in the base provide draining- a very elegant, unique way to hold a small bar of soap. 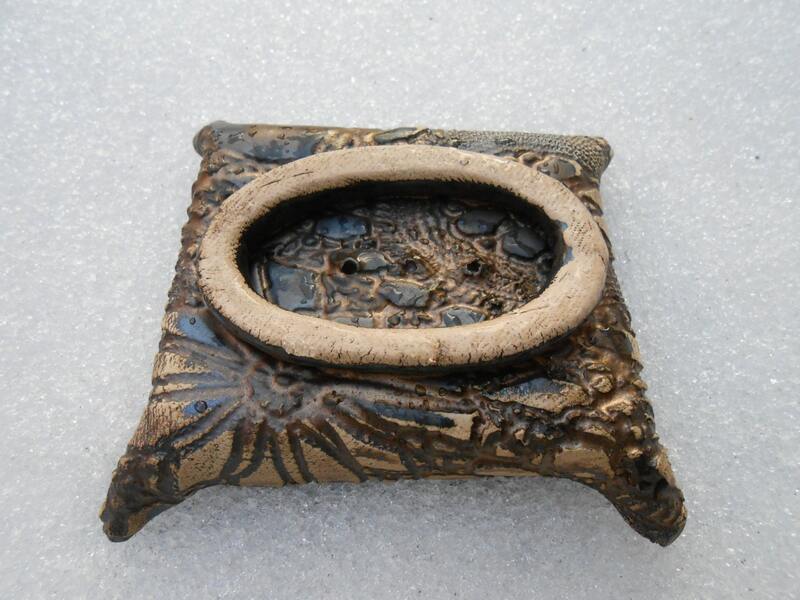 Measures 3 1/2" x 4" height of 1 1/2"